I feel like I owe you all something bookish for the weekend. But doubt that I will finish reading anything all that soon. Besides being busy with other things (and enjoying the early fall/Indian summer weather) I am in the middle of several books that are going to take me a while to get through. The shortest is Shirley Jackson’s memoir Life Among the Savages. I have been half finished with this for some weeks now. I am enjoying it and will finish it one of these days. It just feels like I may have temporarily fallen out of the mood for this one. Next shortest is E.M. Forster’s posthumous collection of short stories The Life to Come. I read this years ago and am now enjoying reading one a night. This one might get finished up this weekend. 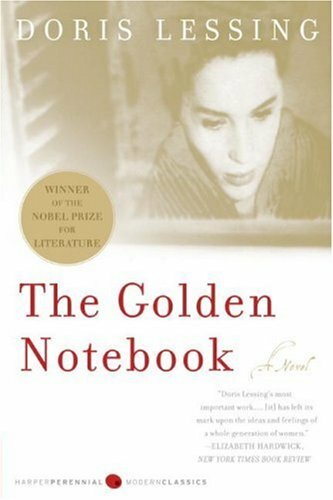 Next shortest is Nobel laureate Doris Lessing’s The Golden Notebook. This one clocks in at just over 600 pages. This is the Lessing novel that everyone has heard of but not many have read. I find it fascinating in good and bad ways and will have plenty to say about it when I finish. I have been tabbing things as I read so I remember to write about them. 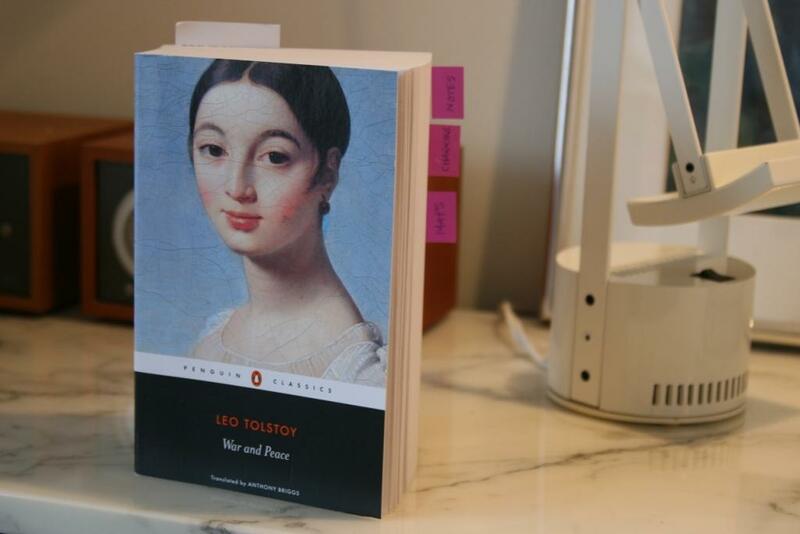 And the next shortest is the 1,350 page War and Peace by Leo Tolstoy. Some of you may remember me writing about starting this one late last year. Well I read about 100 pages of it in 2009. By the time I picked it up again in early 2010 I kind of forgot who was who and what was going on. Still, I pushed forward for another 150 or so pages. Flash forward eight months and I haven’t touched it since. Until last night that is. I read on Dovegreyreader Scribbles yesterday that she is leading a year-long read of this weighty door stop. And I thought this might be my chance to actually get through it. I was thinking of following along (about 100 pages a month) or doing the alternate schedule (a chapter a day), but once I started reading it again last night I decided I am going to finish it by the end of the year rather than follow along. Frankly it is a little too compelling for me to stretch it out too much. Plus I worry gaps in reading will make me forget too much. So last night I forgot about the 257 pages I have already read and started from the beginning. With the previous attempts under my belt, re-reading the first 60 pages has been so much more enjoyable. I feel like I am in the groove. So fingers crossed on this one (again). 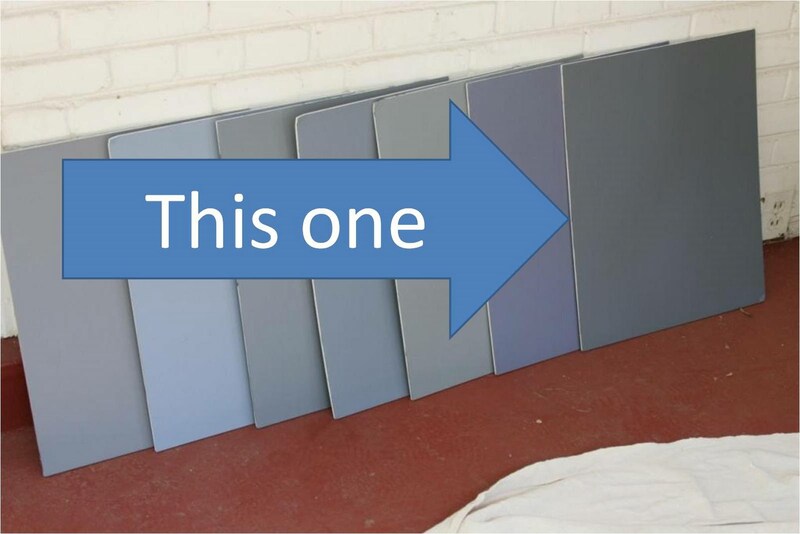 And of course I promised you all the result of our color choice for our library. It won’t be Persephone gray, but it will be a nice dark gray that should make for a very atmospheric space. You can see below the color we chose: Benjamin Moore’s “Ashland Slate”. I'm glad you chose that color. I thought that the best even before you said! It will suit the room well, especially if there's little natural light. Love the color choice for the library! May I (a complete stranger, I know, but I promise you'll like me) come spend hours and hours in your library? In exchange, you may spend hours in mine, which has custom-made Amish bookshelves and very comfortable chairs (although you might be forced to share your chair with a very chair-possessive cat). I hope you get to work your way through War and Peace this time. I am still stuck halfway into Anna Karenina. I did enjoy reading it, it is just hard to pick it up again? And I agree, that cover is gorgeous. It makes me want to read it, while I know I would never finish it at this time in my life. I am sure that it will look marvellous – I hope that we will all get a picture update when it is done?! I look forward to your thoughts on The Golden Notebook. I have a copy on my shelves but have not read it yet, perhaps you will incite me to pick it up. I picked up a used copy of War and Peace, and read it from about January through July this year. I finished it just before I went to visit my folks. Coincidentally, my Mom had been reading it as well. She asked me to translate one of the French passages for her, and as I read it I realized I did not recognize it. Then, I noticed how many more pages her book had. Daniel: Now I am just anxious to get painting. I have to wait a week or two to get some other things out of the way before I can begin. AnswerGirl: Hopefully it will done by the time you visit DC again. Emily: I had to order W&P from The Book Depository because I don't think this cover is available in the US. I think the US version has a chandelier on it. It is such a striking image. I agree on re-reading. I am enjoying W&P but there are too many other things to enjoy to go back to something so time consuming. Iris: Anna Karenina didn't seem as daunting to me. And now that I am fully into W&P, it is too enthralling to be daunting. Hannah: There will be plenty of pictures once it is done. Sandra: The way folks would talk about TGN I was a little afraid of it. But kind of like W&P, I think a lot of, shall we say less than dedicated readers, just see the size and go cross-eyed and hype it up as being unreadable. Julie: That is a hilarious story. It would make me crazy but I doubt I would go back either. My question is, how many pages is the abridged version? It sounds like you and I started War and Peace at the same time and had similar interruptions. And as tempting as the readalong was, I couldn't stand the idea of it sitting on my current pile into 2011: I need to finish it before the end of the year or I'll give up completely! It's just such an undertaking when there are so many contemporary temptations alongside for distractions. Good luck with it! i had meant to fit in a reading of The Golden Notebook this year, but it just isn't happening. i'll be interested to see what you think of it. I'm impressed that you're even attempting War and Peace. Maybe someday I'll work up to that. Ohhh excellent choice for the wall color!